My first morning, post spinal block, I woke to the sound of heavy rain drumming on the balcony outside my bedroom, mixed with the gentle sigh of surf on the beach across the road. I had had a good night’s sleep – about six hours – but I still felt bleary after yesterday’s procedure. Blissfully no pain. Hauled myself out of bed and tried to decide what to do with the day. As on so many other mornings, the desire to flop back into bed was almost overwhelming. I didn’t feel like a drive to Balmoral in the rain. And yet. The words of Jimmy Buffet came to me as I stood looking out at the grey, rainswept Pacific, the wind ripping sheets of white water. This is from his song, A Pirate Looks at Forty. It was on A1A, the first Buffet album I ever owned circa 1974. That’s 41 years ago and the song is still inspiring me to get into the ocean on a cold, grey morning. We never thought we were going to get old back then and now I’m a pirate looking at sixty. It was also very quiet in my apartment and to be honest I longed for the sound of the human voice. I dressed and headed for Balmoral. It was the walk of shame again to an ocean that was dirty and churned up after the rain. I clamped the snorkel mouthpiece in my teeth determined not to swallow water. This is the home of the gut bugs after all. Most people had already finished the race so I did a couple of lonely circuits round the bay. In that murky water it was only me and the bull sharks. I loitered for a couple of hours over breakfast. Saturday down there is always something special and I do miss the tumult. O yes, the beauty of the human voice. It’s a great antidote to pain. Longfellow knew this. Silence is never that golden. 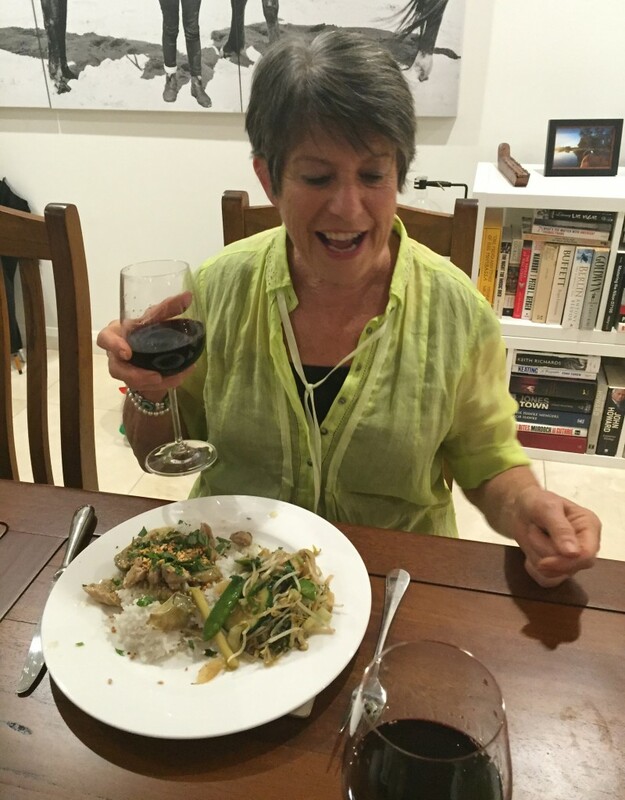 Alison Maunder had some prebiotic for me – Fructo oligosaccharides. Don’t know what it is but gee it sounds impressive. Alison is trying to get my intestinal microflora back up to full speed following everything this year. I’ve been really good taking my kefir and probiotic every day since I got rid of the gutbugs. I’m determined to stay “clean,” as I feel so much better. When I arrived home, I saw the shocking news about the atrocities in Paris. What unspeakable acts. I thought back to my struggle to get through the Koran earlier in the year when I was laid up from surgery. The violence of some of those passages came back to me watching the imagery of slaughter in France. I marked these passages, but there are heaps more like this. Such a violent, political tract masquerading as religious instruction. France and Spain were first invaded by Muslims around 700 A.D. Europe has constantly fought them off ever since – that’s a 1300 year war to preserve a culture. I wonder, as I watch these images, whether we are seeing the Anglo-Celts finally bow their heads in defeat to a culture that has been trying to overthrow them for more than a millennia. It’s very sad. The struggles I have had this year are as nothing, when compared with all those people who have lost their lives at the hands of a primitive political system disguised as a religion. I pray for all of them. After Margaret Carney very kindly chauffeured me home from hospital with a new hole in my neck, covered with a bandage, Jon Attwater and Master-Chef Roz Skinner arrived laden with dinner. Roz is an iconic figure in the Balmoral Beach club as she is regarded as the haute-cuisine champion of the women’s change room. She shares that pantheon of chefs occupied by my grandmother, Mary Maude Muss, and my sister Fiona Kelly. What they do is not cooking or food preparation, it is art. We were soon sitting down to a magnificent Thai curry, spicy without being hot, simple yet tasty and nutritious and a big serve of vegetables with the pièce de résistance being new season Aubergine. Jon Attwater, is also a fair sort of cook. A student of texture and colour in fine food preparation, who honed his skills in the Simpson Desert, under arduous conditions, with nothing to go on other than some leg ham and a jar of pickles and me making ill – informed suggestions over his shoulder. He pronounced Roz’s Magnum Opus as very good. He also pronounced the Squealing Pig Marlborough sauvignon blanc and Limb Vineyards 2011 Barossa Shiraz as very acceptable. It must have been as there was none of either left at the end of the night. A lively debate around the merits of television series ensued between courses with The Wire, Fargo, House of Cards, Breaking Bad, True Detective, The Sopranos, and The Following all having claims. We decided that The Wire and Fargo won hands down. We had lots of laughs. “Laughter is the best medicine.” So said the American comedian Art Linkletter. I agree with him. When that laughter is accompanied by beautifully prepared, home cooked food it is that much more enriching. Before long the all important pudding was plated up and put on the table. 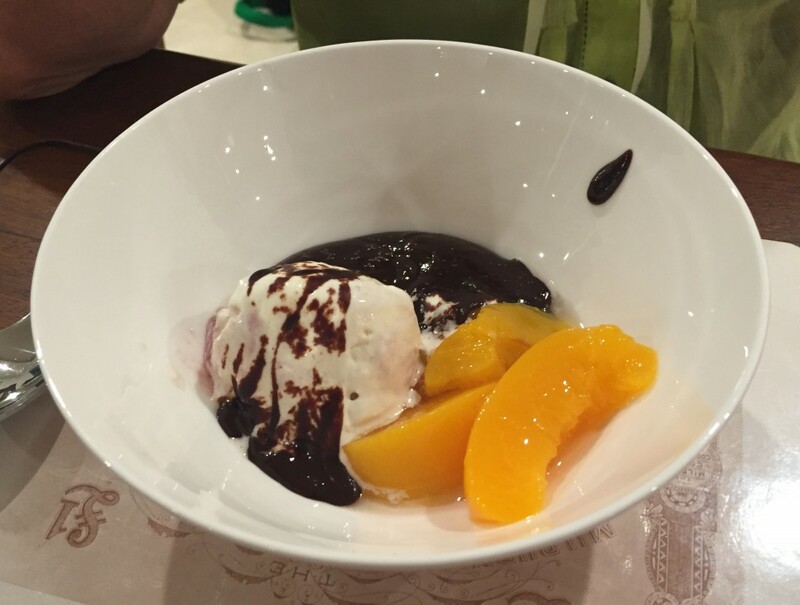 I regard myself as a student of pudding and this was pretty good – ice cream and peaches with Roz’s hot, home-made chocolate fudge. I forgot about broken legs, spinal blocks and pain. I became concerned about the potential for a heart attack after gobbling down too much chocolate fudge. I was also worried about John Attwater’s heart as he had stents put in and I’m sure chocolate fudge and ice cream were not on his doctor’s recommended nutrition list. And the pain? I had a dull ache around my neck and left shoulder all night which intensified as the local anaesthetic wore off. But it was a different sort of pain. It felt like it may just be from the presence of the Cortisone and the effect of the needle. 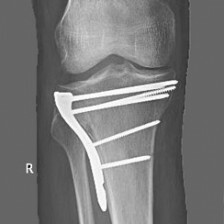 It feels different than the pain of the last 4 to 5 weeks. Tomorrow is another day and will tell if this procedure has worked. The food and the company certainly helped even if the cortisone doesn’t. So ends Friday the 13th. Life is what happens to you while you’re busy making other plans. Could have been a lot worse.